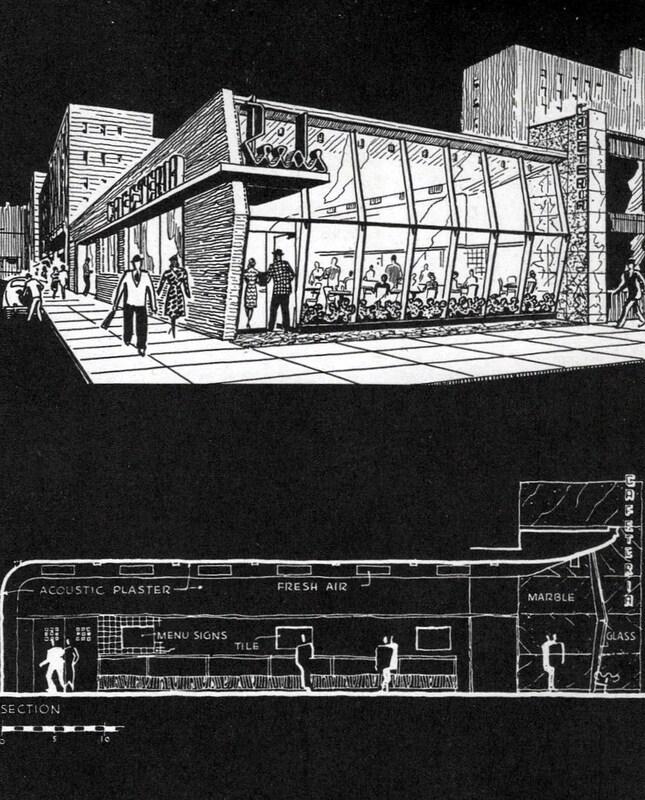 I have no idea if Reed’s was ever built or its location, other than New York City. There are no photos of it in the publication I have, only drawings. 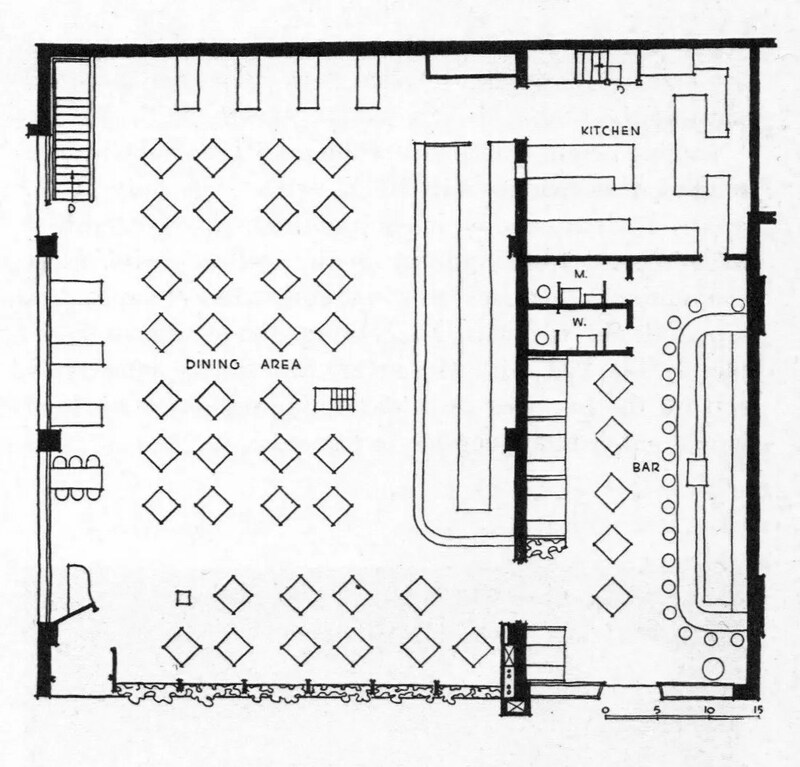 Plan of Reed’s Cafeteria depends largely on relationship of counter to kitchen.